The Big Man’s SEO blog is primarily aimed at website owners looking for ethical SEO tips, optimisation advice and who are interested in reading articles and opinions related to search engines, the internet, technology and software. As with most personal blogs, the Big Man will include news about our clients and personal comments about relevant current affairs. The Big Man’s Blog also includes articles from our Customer Services Manager, Dolidh, (pronounced Dolly), who is a celebrity on Google Plus, with all sorts of articles about Google Plus and interesting bits and bobs. We will endeavor to answer questions and comments from any web owners, SEO professionals or web designers that take the time to leave a comment on a blog item, or that email him a question on bigman@kenkai.com. This SEO blog will be updated regularly, as time allows, and an RSS feed to the blog is available here. The Big Man’s Ethical SEO blog is different from most of the SEO blogs on the net today as you will rarely read anything too technical and the Big Man doesn’t do “Geek Speak” or “Business Speak”. In saying that, all SEO Blogs have merits and the Big Man does not claim to know any more than other optimisers in the industry, he simply has differing opinions to many. 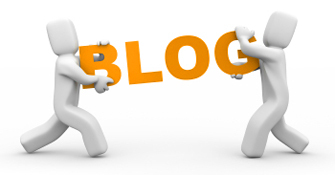 The blog invites interaction and is happy to answer any SEO related questions that blog readers may have. The personal opinions that appear on this SEO blog feature those of a successful, hard-working, ethical SEO Professional, who works with SMEs in the UK and Europe. The Big Man's SEO blog is primarily aimed at website owners looking for ethical SEO tips, optimisation advice and who are interested in reading articles and opinions related to search engines, the internet, technology and software.